This article is about the Tulane and NFL running back. For the Louisiana politician, see Eddie Price III. Edward J. 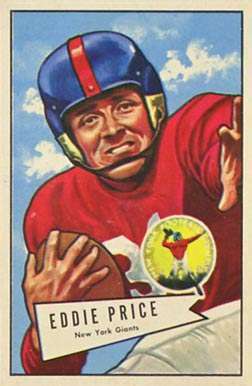 Price (September 2, 1925 – July 21, 1979) was an American football running back for the New York Giants of the National Football League. He played college football at Tulane University and was drafted in the second round of the 1950 NFL Draft. Price led the NFL in rushing in 1951. He died at his home of a heart attack at the age of 53. Price was inducted into the College Football Hall of Fame in 1982.